A Northern Kentucky University student was arraigned Friday on charges after she pulled a gun another student in the school's library because she wanted her seat. Jaylin Johnson, 23, of Covington, Kentucky is charged with carrying a concealed deadly weapon without a license, menacing and disorderly conduct. At a video arraignment, she was ordered held on $5,000 bond and ordered to have a mental evaluation. 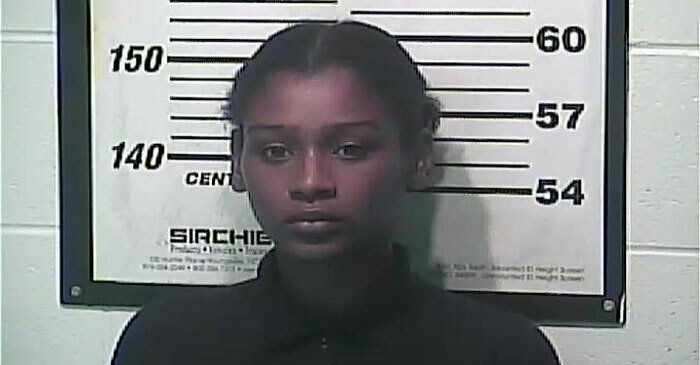 According to the prosecutor, Jaylin entered the library Thursday morning and pulled a .380-caliber handgun out of her backpack, pointed it someone and told the seated person to move. Officers soon arrived and located Jaylin, who admitted to having the gun -- which had live rounds, but was jammed due to a misfeed -- in her bag and gave it to police. She didn't have a concealed-carry permit. She was arrested and taken to jail where she was offered an opportunity to plead guilty and accept a 180-day sentence, with all but 30 days suspended, but she refused.